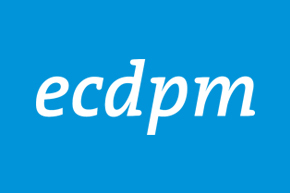 ECDPMGreat Insights magazineThe Slate is Clean: What’s Next? The Slate is Clean: What’s Next? In the early 1970s, many developing countries took out loans from Western banks at favourable rates. Part of this money went into development projects with sometime negligible results; another part of the money also served wider political purposes or disappeared into private bank accounts of corrupt government leaders. In the late 1970s, interest rates rose while commodity prices fell, which made it difficult for developing countries to repay their loans. Arrears and penalties became self-perpetuating and produced a snowball effect that drove the countries into a downward spiral and jeopardised their development. It took quite a while until the creditors came to terms with reality and accepted that the poor indebted countries would never be able to pay back their debts. 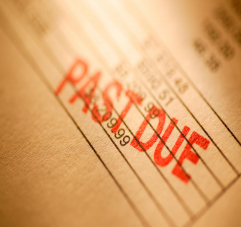 This awareness opened the path for debt rescheduling and later debt cancellation. 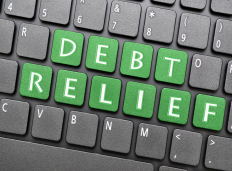 Debt relief evaluation: a tool for development? In the Netherlands, the request for a specific evaluation on debt relief came from Parliament following a presentation by the Policy and Operations Evaluation Department (IOB), in their Evaluation of the Dutch Africa policy. 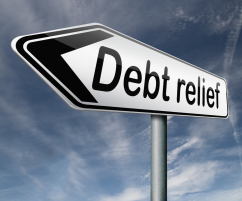 The Parliament wanted to know more about the effectiveness of debt relief as a tool for development. The scheduled massive debt relief to Nigeria was a case in point and provoked a wide political debate. The Belgian Office of the Special Evaluator had already undertaken an evaluation regarding the Belgian policies and practices on debt relief, with Cameroun as a case study. Simultaneously, the Belgian Federal Parliament had focused attention on the debt waivers for the Democratic Republic of Congo and tried to find out whether debt cancellation really contributes to economic growth and structural poverty reduction. It was quite straightforward for the Office of the Special Evaluator to accept the invitation of their Dutch IOB colleagues to join forces for an in-depth evaluation of debt cancellation measures in Nigeria and in the Democratic Republic of Congo (DRC) that took place at the beginning of the 21st century. Both agencies wanted to apply a rigorous framework for impact evaluation that would provide insights in the net results of debt cancelation. The evaluations yielded contrasting results. Basically, debt relief has an effect on the debt stock, on debt flow and through conditionalities. However, the way in which debt relief schemes were designed and implemented played a crucial role for their effectiveness. Nigeria, that was not a HIPC-country, was best off: the country negotiated full cancellation of USD 18 bn of foreign debt against immediate payment of USD 12 bn. This operation, achieved with strong internal and international political backing, promptly restored Nigeria’s creditworthiness. The evaluation found that the conditionally imposed virtual poverty fund had an effect on social service provision for the poor. Contrary to Nigeria, the DRC is a HIPC-country that went off-track on public finance management several times. Political will and direct intervention on the creditor side forced the DRC to revise contracts with China to avoid new unsustainable debt. Simultaneously, the creditors recognised that it had reached the completion point, which made possible substantial debt relief. The evaluation looked into the education sector for evidence of improvements following the debt cancellation. Some positive changes, notably in the payment of wages, were found that correlated with the debt relief, but these changes did not reach further than the headquarters of the ministry of education in Kinshasa. Retracting from a relief logic that still prevails and that does not question the legitimacy of the debt claims, including the penalties on arrears, some creditors like Norway and the United Kingdom now talk openly about ‘odious debt’: a debt incurred during a dictatorship without the population ever having received any benefits from it, with the creditor turning a blind eye. 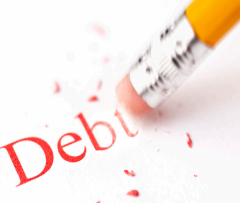 From this point of view, debt cancellation is not only about financial sustainability. Another ongoing process is the fight against vulture funds and other rogue creditors, which buy up the debt of poor developing countries at very low prices and then sue them to enforce payment of the nominal value, including arrears of interest. Legislation outlawing the seizure of ODA-funds and state-to-state loans would imply an important step in that direction. 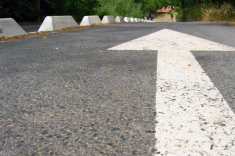 Belgium has already passed a law to protect its ODA grants against seizure. The government also intends to audit the ethical basis of all sovereign credits on developing countries. Taking stock from the past is not enough. In 2012, the need for investment in developing countries remains more important than ever. 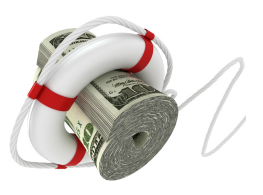 How will the creditor community deal with these needs? Will they be able to draw lessons from past experiences and design firewalls to avoid renewed debt overhang? For a few – mostly fragile – countries, the signals are turning red again. Are debtor countries on their side willing to implement administrative and economic reforms, including anti-corruption measures and show political will to guarantee that the funds released will actually be invested in the country’s economy and for the strengthening of the position of the poor? Dominique de Crombrugghe de Looringhe is Special Evaluator for the Federal Public Service Foreign Affairs, Foreign Trade and Development Cooperation, Belgium. Ruerd Ruben is the Director of the Policy and Operations Evaluation Department (IOB), Ministry of Foreign Affairs, The Netherlands.